Meatballs are my jam. 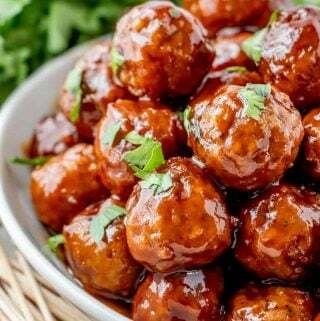 We adore anything that is meatball related whether it be homemade or used with frozen meatballs. They are just a fun and go-to ingredient that is so versatile. 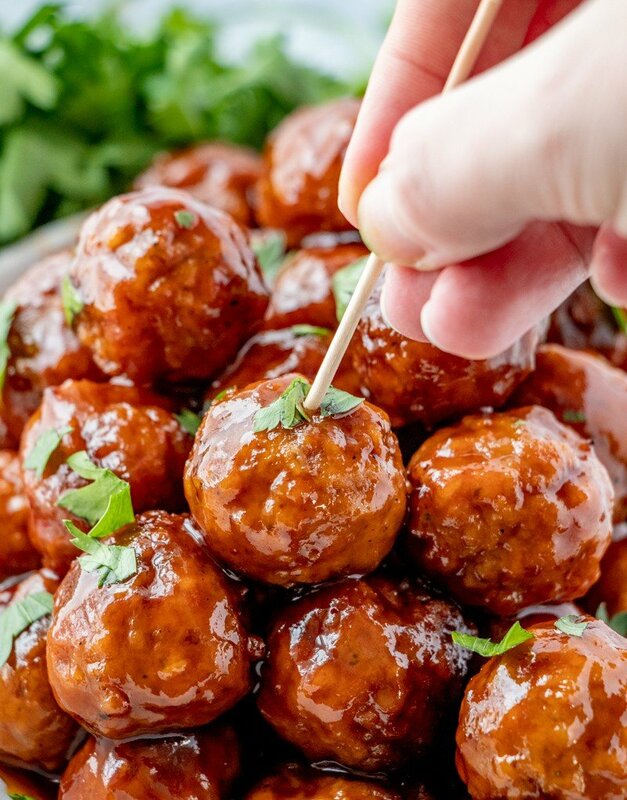 These Honey BBQ Crockpot Meatballs are one of our favorite party foods. We served them this year for the Super Bowl and they were such a big hit that there were NONE left. But that is usually the way it is when we make any type of Crockpot Meatballs, especially this Asian version. Always such a hit! That is it! I mean when you can whip those ingredients up and throw them in a crockpot and wait a few hours, how can you go wrong? These are so kid friendly because they aren’t too spicy, they are small portions and kids love things that are just able to be eaten with a toothpick, well my kids do anyways. That is why we have dedicated appetizer nights around here. 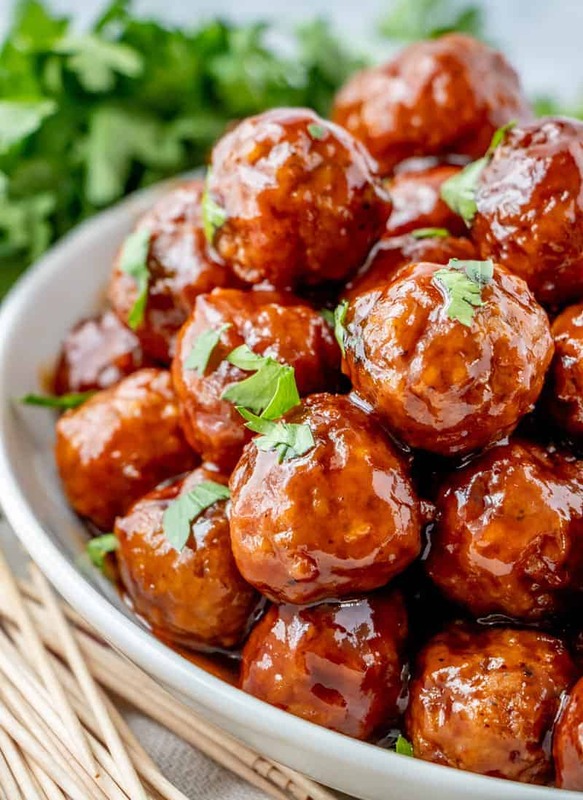 Crockpot meatballs are pretty much the perfect side dish to anything, I mean who doesn’t love a little meatball side dish? Just kidding, they do make the perfect party food though. So if you want something that you re able to bring to your next get together these are absolutely it, and they will 100% be a hit. In bowl whisk together your jelly, bbq sauce and honey until combined. 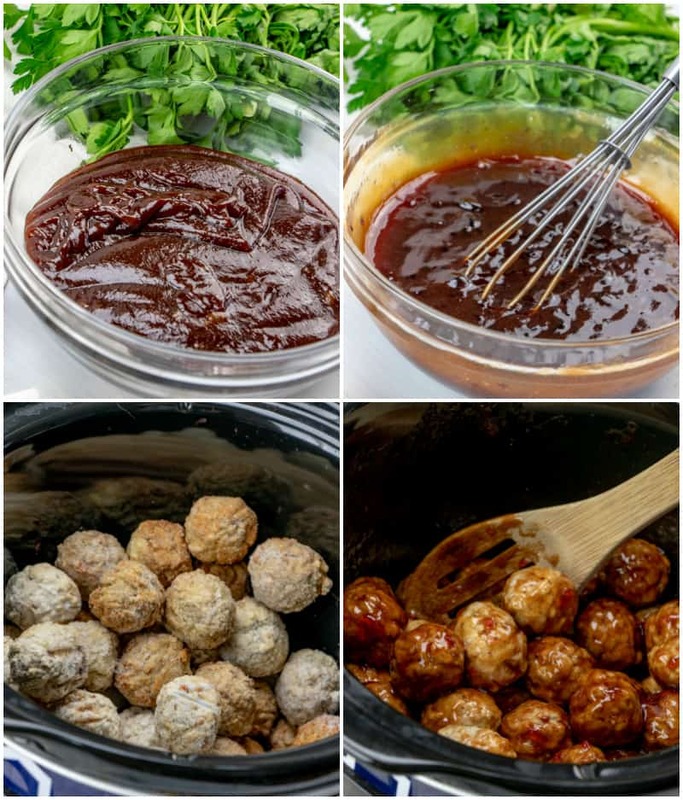 Add your meatballs to a crockpot and pour mixture over the top of meatballs and stir to coat. Heat on high for 1 hour or low for 2-3 hours, stirring every so often to re-coat the meatballs. Sprinkle with parsley before serving if desired. 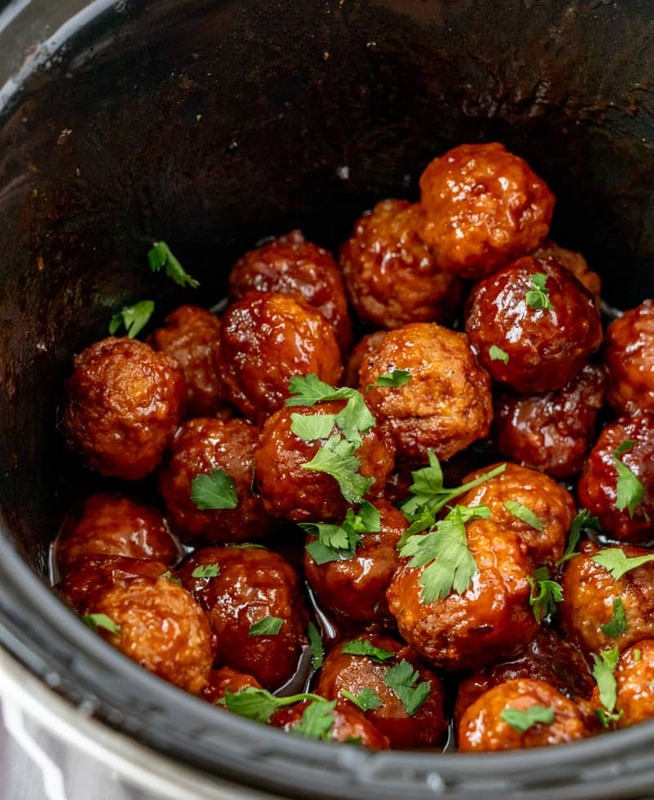 There is absolutely no denying that this Crockpot Meatball recipe is super easy. But that is how we roll around here. Keeping things as easy as possible with minimal ingredients. I think there are a lot of people who can agree with me that simplicity is key when making recipes, especially those with larger families like myself. We often are so busy running around with the kids or working that we don’t have all the time in the world to make a difficult meal. That is why you will mainly find fast fix family recipes on my site. But there is absolutely never anything wrong with quick and easy recipes and I say that religiously. Sometimes the best recipes out there are the ones that use minimal and easy ingredients. Yeah sure, you can have the best meal of your life by eating somewhere and never being able to recreate the recipe because of how hard it is, but sometimes you can have the best meal of your life simply in your own kitchen. 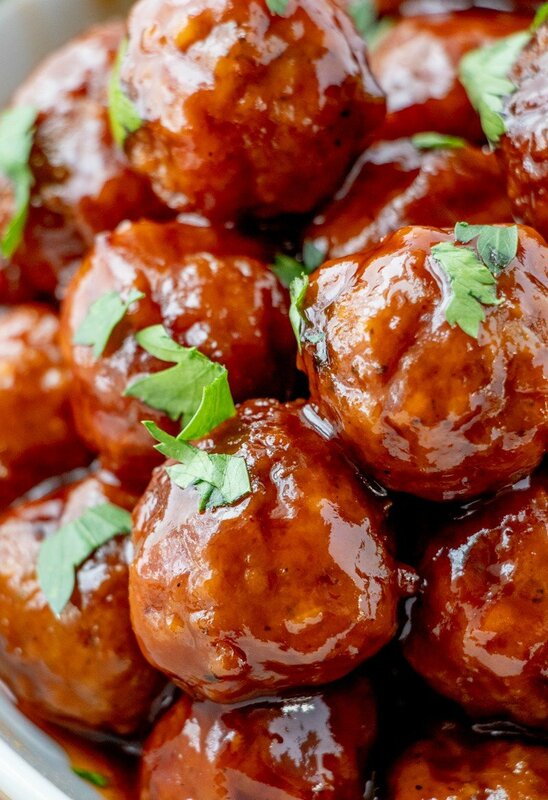 But when I say that you need these Honey BBQ Crockpot Meatballs in your life, I am not kidding. They are addicting, easy and you literally won’t want to stop at just one and I completely understand. In bowl whisk together your bbq sauce, honey and jelly until combined. 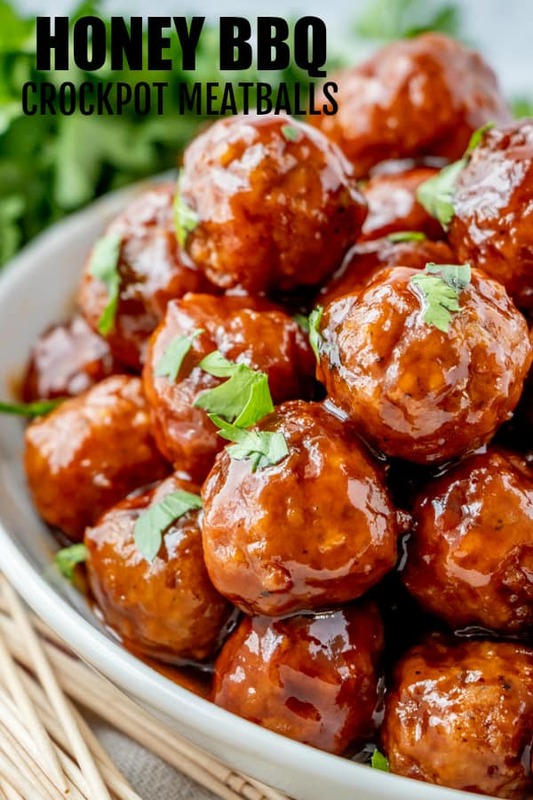 Place meatballs into a crockpot and pour sauce over the top. This is our favorite go-to meatball recipe. These meatballs are so delicious and easy – we will make these again and again! We love crock pot meatballs! Such an easy dinner to make and the kids always love them! One of the best party appetizers! Yum!